"XAT Simplified 2015 (Past Papers + Mock Tests + General Awareness Analysis)"" - a set of 2 books - Target XAT 2014 (Past Papers 2005 - 2013 + 5 Mock Tests + General Awareness) and 50 COOL STORIES 300 HOT ISSUES. The XAT paper has seen a lot of changes - firstly the introduction of Decision-making case studies and now the General Awareness questions based on business environment (economics, politics and business - HUMANITIES). Book 1: Target XAT 2015 (Past Papers 2005 - 2014 + 5 Mock Tests + General Awareness) contains the detailed solutions of the XAT 2005 to till date. The book also contains 5 Mock tests designed exactly as per the NEW XAT. Each Mock Test has 2 parts. 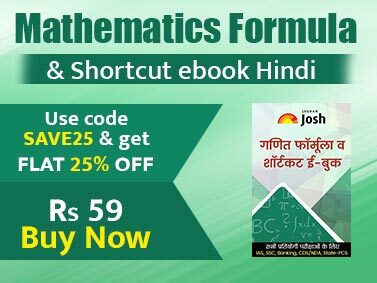 Part I contains questions on Decision Making, English Language & Logical Reasoning and Quantitative Ability whereas Part 2 contains Essay Writing and GK questions. A special QUESTION BANK on General Awareness has been provided as an extra help to the aspirants. The pattern of conceptual questions asked in the General Awareness section of the XAT 2013 Question Paper matched with the questions provided in the last edition of Disha’s Target New XAT book. Looking at the format of XAT 2013 & 2014 an additional set of questions on General Awareness based on Current Affairs is being introduced in the book. This section will definitely help the students in cracking XAT. Another innovative book by Disha Publication. After the grand success of ""50 COOL Stories 3000 HOT Words,"" Disha now brings ""50 COOL Stories 300 HOT Issues,"" a book written for those who want to learn, understand and analyse the TOP ISSUES that changed the world in 2013-14. The book deals with the latest Social, Economic, Political, Scientific, Cultural, National and International issues that every youngster should be well aware of. The stories have been hand-picked and touches the different spheres of our life. As the world is getting more and more competitive, General Awareness has become one of the most sought after things. General Awareness is becoming an integral part of the written test of a lot competitive examinations. In the later stages, descriptive tests, group discussions and personal interviews, it becomes all the more important. A candidate with good General Awareness can easily leave that last impression on the interviewer(s) mind. The book offers multiple benefits to the readers. In this book, we have made an attempt to not only educate and make you aware about the current affairs, but also motivate you in forming opinions and understanding how your own thoughts can be put into words. We have conducted a lot of research for all the topics, and presented them to you in a very opinionated manner with relevant facts to build analytical and comprehension skills. Each article is written to involve the readers by giving them an interesting read. This will inspire you to read more, thereby boosting your reading skills. Writing is a very individualistic art, and its effectiveness divides opinions. But with this, we have presented several ways to approach and write about the relevant subjects. Each story is followed by ""HOT Issues to Ponder,"" which lists the various issues on which the students need to create their opinion on. The book can be easily competed in 50 Hours. 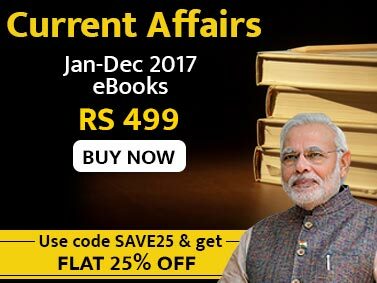 The book provides a radical approach of combining an extremely readable book with deep understanding of contemporary happenings and opinion creation on related issues in one package. Actually, each topic will take you on a small and interesting journey in the world of its subject, so pack your bags and join us!